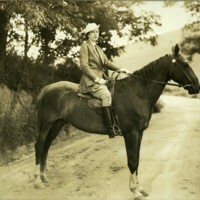 Photograph of Mabel Roberts on horseback in Virginia. 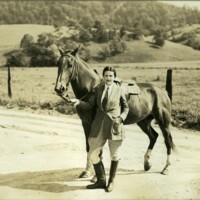 Photograph of Mabel Roberts with a horse on a dirt road in Virginia. 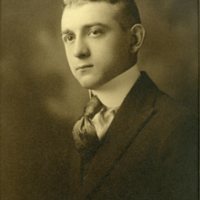 Senior class photo of Eugene R. Roberts. 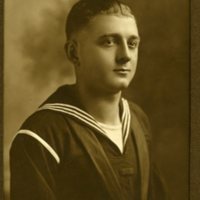 Photograph of Gene Roberts in his U.S. Navy uniform. 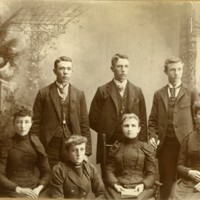 Photograph of a Sunday School group. 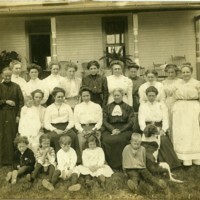 Ida Grubbs is 2nd from the left in the top row, while Mabel Grubbs is 4th from the left in the bottom row. Photograph of Grandma Grubbs and her 6 children. 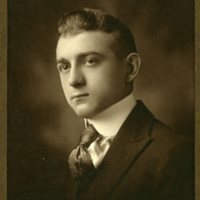 Top row: Leonard S. Grubbs, Walter Grubbs, Jim Grubbs. 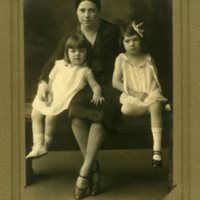 Bottom row: Mamie Grubbs, Emma Grubbs, Grandma Grubbs, and unknown daughter Grubbs. 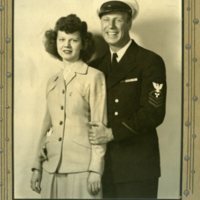 Photograph of an unknown couple. The man is wearing a US Navy uniform. 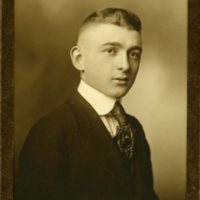 The photo was taken by Lindquist Studio in Decatur, IL.